The former NSA contractor-turned-whistleblower Edward Snowden Files leak to Journalists revealed startling revelations of NSA Mass Surveillance Programme that tracks activity of high profile ministers and common people from all nations of the world. Disconnect was founded in 2011 by former Google engineers and a consumer-and privacy-rights attorney. The addon is open source and loads the pages you go to 27% faster and stops tracking by 2,000+ third-party sites. It also keeps your searches private. uBlock Origin is an lightweight and efficient blocker: easy on memory and CPU footprint. The extension has no monetization strategy and development is volunteered. OS: Firefox, Safari, Opera, Chromium. AdBlock Plus is not recommended because they show “acceptable ads”. The system behind that white list is lacking transparency. 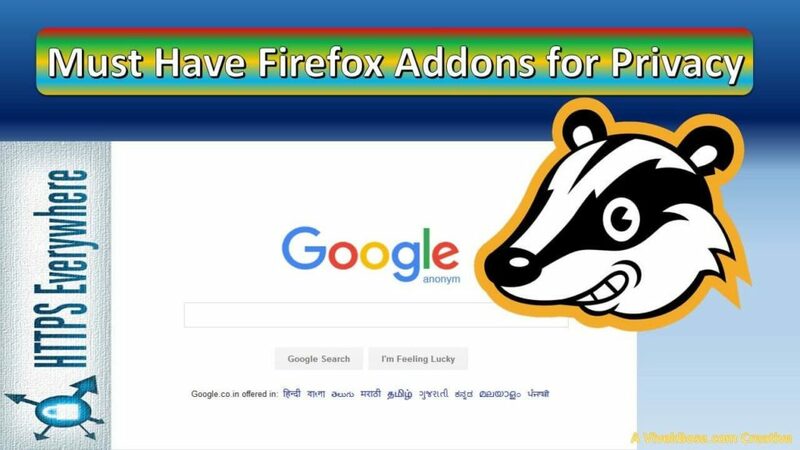 Random Agent Spoofer is a privacy enhancing firefox addon which aims to hinder browser fingerprinting. It does this by changing the browser/device profile on a timer. Self-Destructing Cookies automatically removes cookies when they are no longer used by open browser tabs. With the cookies, lingering sessions, as well as information used to spy on you, will be expunged. HTTPS Everywhere is a Firefox, Chrome, and Opera extension that encrypts your communications with many major websites, making your browsing more secure. A collaboration between The Tor Project and the Electronic Frontier Foundation. This extension prevents Google, Yahoo and Yandex search pages from modifying search result links when you click them. This is useful when copying links but it also helps privacy by preventing the search engines from recording your clicks. This Firefox Privacy Addon Tells How strong is your HTTPS connection? 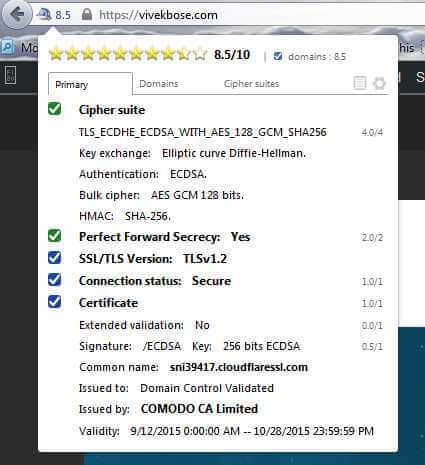 SSleuth ranks an established SSL/TLS connection and gives a brief summary of the cipher suite, certificate and other SSL/TLS parameters. Hide your IP from websites with spoofed X-Forwarded-For headers. Search anonymously on Google, while keeping your search preferences and stay logged in on services such as Youtube, Gmail, etc. Protects your privacy by blocking spying ads and invisible trackers. Warning: This add-on is in alpha, so you may find some bugs!